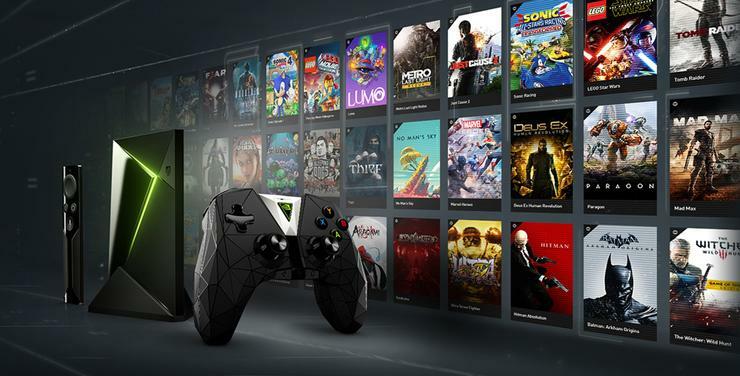 Nvidia has announced that they'll finally be bringing their Nvidia Shield TV streaming device to the Australian market in 2018. No word yet on price and availability but we expect further details to follow sooner rather than later. Launched overseas in 2015, the Nvidia Shield TV is an Android-powered streaming box that supports 4K HDR video content playback, extensive app support and comes integrated with the Google Assistant. It also supports game streaming via Nvidia's GeForce Now service and comes with its own dedicated games controller. No word on whether the latter will also be coming to Australia. However, at a glance, this seems like an unlikely possibility. Overseas, game streaming services and platforms like GeForce Now have accrued some niche popularity but their dependence on reliable broadband infrastructure might make them a difficult fit for Australian gamers. Still, the long-overdue arrival of the Shield TV should shake up the home entertainment space in an interesting way. Similar products like the Telstra TV and Foxtel Now streaming box are available here but none feature the focus or pedigree for gaming content that the Nvidia Shield TV does. The SHIELD TV will be available in July and come bundled either with a remote, or with a game controller and remote – starting at $249 in Australia. Optional accessories include additional controllers and a vertical stand. It will be available on the SHIELD website and from local computer technology resellers including: PC Case Gear, Umart, Mwave, Centrecom, Scorptec, PLE Computers, JW Computers, Austin Computers, Computer Alliance in Australia and PB Technologies, Computer Lounge and Playtech in New Zealand. It will also be available across select EB Games stores within Australia.